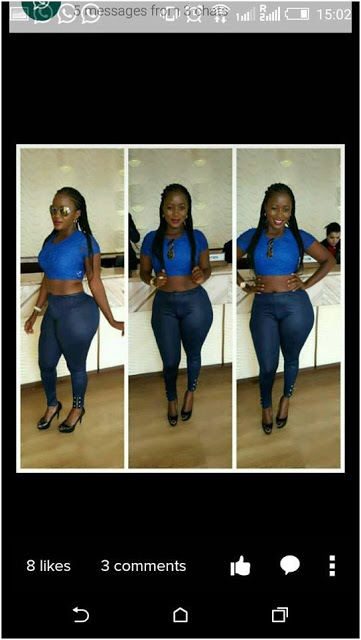 Afew months back the now faded Socialite Judy Anyango was the talk of town courtesy of her mammoth booty that many men drooled to have a taste of. 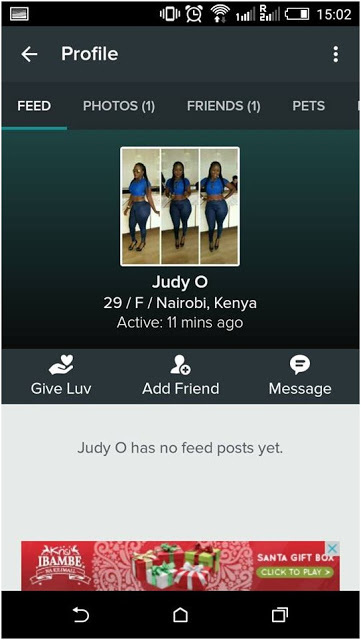 As time went by her glory and fame started fading and according to speculations, Judy is broke and is currently trying to revive her lost fame. 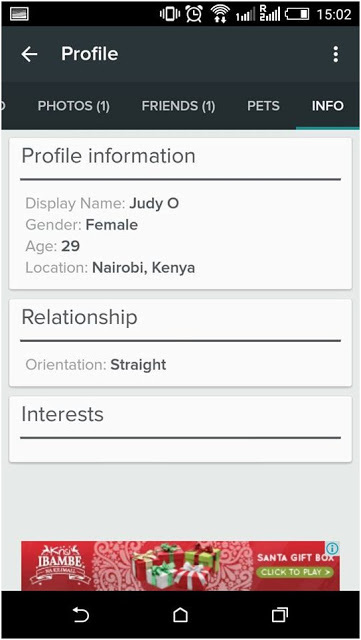 I happened to stumble upon these screenshots of judy trying to look for potential ‘sponsors’ in a dating site. The petite lass seems to be desperate and appears to be looking for someone to shower her with cash and rock again in the show biz industry. Here are the photos she has been posting on the dating site.